The worst-case scientific scenarios for climate change are being realised – or exceeded. 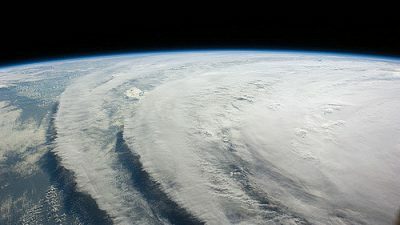 The climate system is ‘already moving beyond the patterns of natural variability within which our society and economy have developed and thrived’, according to a major scientific congress on climate change in Copenhagen in March. It is little wonder, then, that nine out of ten climate scientists think we’ll overshoot the two-degree target that is generally presented as the goal for any new global climate agreement – even though increasing numbers of climate scientists now say this will be insufficient to prevent dangerous climate change. It doesn’t require much reflection to realise that continuing to pour oil on an already raging fire is unlikely to be the smartest move. Yet the range of available options looks either entirely inadequate to the scale of the problem, or almost as dangerous as the problem they set out to solve. Clearly, changing a few lightbulbs just isn’t going to cut it, while some of the mooted large-scale technological fixes are even more dangerous than inaction or inadequate action. They take some fairly wacky forms, from geo-engineering projects to stimulate ocean plankton growth with urea (in the hope that this will capture carbon) through to the current fad for ‘biochar’ (a scheme to grow plantations then burn them down, in the hope that the resultant charcoal, when buried, will store CO2). The fact that such schemes are even considered is a signal of a certain desperation that tends to set in when you compare what needs to be done with how we are actually doing. The economic crisis may check the growth of global emissions for a year or two, but the overall trends are clear. Eleven of the past 13 years (more or less the period since the Kyoto Protocol, the only current global climate treaty, was signed) were the warmest on record. This has been accompanied by large and accelerating increases in CO2 emissions – which averaged 3.2 per cent between 2000 and 2005, as well as a threefold growth in emissions from fossil fuels since the 1990s. While it is true that coal power in China is a significant factor in this recent increase, it remains the case that its per capita emissions are far lower than in the UK, and that approximately one-third of China’s emissions are ‘exported’ to rich industrialised nations. When you set this in the context of the UK’s massive historical contribution – second only to the US, if average CO2 emissions since 1880 are measured – there remains a clear imperative for far more significant action domestically. Yet what form should this take? A recent book, Sustainable Energy – without the hot air by Cambridge physics professor David MacKay, sets out with great clarity the scale of the problem (and can be freely downloaded from www.withouthotair.com). It compares statistics for energy use in the UK with the potential energy efficiency savings and developments that might be achieved by renewable energy. MacKay’s conclusion, in a nutshell, is that we should electrify transport, use far more efficient heating systems, and shift our energy provision to a mix of renewables (including from large-scale imports), nuclear power and, possibly (although MacKay is somewhat sceptical here) carbon capture and storage for coal plants. A number of other projections on a global scale, including those of the International Energy Agency, draw a similar conclusion when comparing the measures needed to tackle climate change with our actual and projected emissions: namely, that with all possible efficiency savings and ‘renewable’ technologies (defined so broadly as to include hydroelectric dams and biofuels) rolled out to the max, our energy demand will still outstrip the supply available from non-carbon sources. Are such unappealing technologies really necessary? As is usually the case, the answer largely depends on how you frame the question. MacKay acknowledges that ‘if we are to get off our current fossil fuel addiction we need a plan for radical action’ but limits himself to addressing only ‘the technical side’ of what would be required. The result is a book ‘refreshingly free (almost) of politics and economics’, according to Leo Hickman in the Guardian. But the neutrality of technical solutions tends to be an illusion, and so it is in MacKay’s treatment of nuclear power. He draws heavily on figures provided by the World Nuclear Association, an industry lobby group, yet ignores the historical record of consistent cost over-runs and foregoes any attempt to assess the security implications of going nuclear. 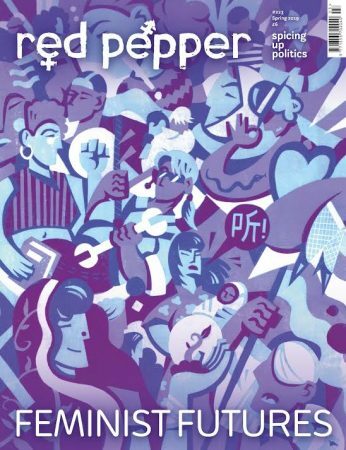 This article inaugurates a series of pieces in forthcoming issues of Red Pepper that will take a different approach. Instead of asking simply what technological possibilities exist, and what money is needed, we will focus on the political and institutional impediments to tackling climate change, as well as the economic blind spots to identifying the necessary steps to a post-carbon future. What institutions and decision-making structures need to be in place for more apt solutions to emerge? And what strategies and political demands are most likely to reshape that agenda? Among the significant common threads will be an emphasis on reframing the climate problem away from assumptions about endless capitalist accumulation, and the necessary correlates to this in the form of economic democratisation, reclaiming public decision-making away from private interests. It may sound pie in the sky, or opportunistic, to imagine that ‘another world’, whose possible emergence is repeatedly and often impotently wished for by the alter-globalisation movement, might come into being as the byproduct of the energy and climate crisis. But whenever there has been a historical transition in the primary source of energy – from wood to coal and (since the mid-1960s) oil – it has been accompanied by an ephochal shift in how we organise the production and distribution of goods, which subsequently affects how we organise life in rural and urban areas. Why should we imagine that a diversification into renewable energy should be any different? What is at stake, then, is less the question of whether industry will be re-scaled, or international trade reconfigured to meet these new conditions, but what forms that will take. This requires not just a principled anti-capitalism so much as a sector-by-sector consideration of how a new epoch might emerge. A quick analysis of the power sector offers some insight into what this might mean. Building new electricity generating capacity is a long term commitment, with investments in new infrastructure made over a period of decades. Yet the current models for assessing future demand consistently presume limitless growth and overstate future energy demand, without disaggregating fundamental needs from the desire of many industries to capitalise upon a continued supply of cheap power. A comparative historical study led by Professor Paul Craig of the University of California, for example, found that most forecasts had overestimated US energy demand by 100 per cent. In other words, we assume we need to build more capacity than is either needed or environmentally sustainable, and these over-projections help to keep prices low – which is, in turn, a key structural driver of over-consumption. There is a job to be done here, which the ‘transition towns’ movement is going some way towards with its ‘energy descent action plans’, to recalibrate the picture by planning from the ground up. But this remains to be tied more closely to organising for more equitable distribution, so that it might also tackle rather than exacerbate the legacy of energy poverty, which sees the poorest people in the UK paying more than the rest of us because of pre-payment meters, while private business uses its clout to negotiate the cheapest tariffs of all. Setting this aside, though, tough decisions still remain as to how to build new energy generating capacity in the UK to replace our decaying energy stock. Even if the needs are lower than is often stated, new power stations will be needed. How will this capacity be met? The recent debate on carbon capture and storage (CCS) from coal power crystallises a lot of what is currently wrong in climate-related decision making. 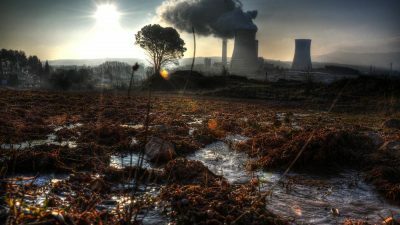 In April, the climate change secretary Ed Miliband announced that no new coal-fired power stations will be built in the UK without collecting a proportion of their carbon emissions and burying them. This implies a welcome, if somewhat belated, recognition that the UK’s climate change targets cannot be met while building the proposed cluster of new stations in the east of England – and a victory of sorts for the Climate Camp, which put the issue on the agenda with last year’s Kingsnorth protest. Yet you don’t need to squint too hard at the fine print of Miliband’s announcement to start finding the loopholes. For starters, the government’s figures suggest that a quarter of emissions, at best, would be captured – with the net result being worse than conventional gas plants. Yet even this is potentially meaningless when you consider that the technology being proposed is not actually commercially available yet – and that, even according to the more optimistic estimates, it will not be commercialised before 2030. 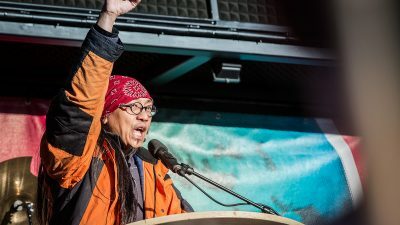 One of the few existing pilots, run by the Swedish company Vattenfall, burns 10 to 40 per cent more coal than existing coal-fired power stations, with significant implications for increased environmental damage and potent methane emissions from coal mines. And there remain other significant technical doubts about risks to the ecosystem and health, as well as unanswered questions about whether the stored carbon will slowly ‘leak’ back to the surface. Yet the explanation runs deeper than cynicism, with the relevant question being not merely why such perverse decisions are made to invest in these technologies, but also how a scientific and technical ‘consensus’ is manufactured that concludes that such schemes are necessary. In the face of this, what political demands might be made? And by whom? The most important of these – ‘no new coal’ – has already been articulated by the Climate Camp in the past few years, with the support of NGOs such as the World Development Movement, as well as leading scientists such as James Hansen of Nasa. Direct action campaigns linking local concerns with the broader political issue can yield results – as was clear with the anti-roads movement in the 1990s, which ultimately saw a change of course from the then government. Such actions and demands are necessary, but reactive. In articulating a broader agenda, we also need to focus on the broader politics of how energy itself is governed. The privatisation of electricity in the UK, initiated in 1990 following the British Gas sell-off, saw the private sector take control. Since then, the steady pattern here (and elsewhere in Europe) has been the consolidation of the industry in the hands of five major companies. EU liberalisation rules, modified with a new directive this April, talk the rhetoric of ‘diversification’ but may well have the opposite effect. A few of these companies remain under state ownership – most notably EDF, the UK’s largest energy generator, which is 85 per cent owned by the French government. But even here, the company is structured as a private corporation trading on the stock exchange – so public accountability for decision-making is minimised, and the rationale for new research and investments is a straightforward profit motive. This has resulted in an industry that seeks new means to maximise production at the lowest cost, irrespective of the environmental consequences. Carbon capture has emerged as the technology of choice because it fits this bill well – a classic ‘end of pipe’ solution that seeks to clean up the mess rather than avoid making it in the first place. In the case of coal, the environmental costs of extraction, which are also severe, similarly fall low on the decision-making spectrum; while the carbon markets that are supposed to ‘control’ for these ‘externalities’ and provide a cost to factor them are now being promoted as a major revenue source – with up to EUR9 billion allocated for the further development of CCS. Two consequences follow from this. The first is that, if we are serious about tackling emissions from the power industry and investing in renewable technologies, the demand should once again be levelled to bring the industry back under public control. In advance of this, the concentration of research money on cleaner energy – which is at lower levels now than the equivalent spent in the late 1970s – should go to public research earmarked for genuinely ‘renewable’ technology. But public ownership means little without public control. Here too decisions are based on a model of ‘governance’ that affords the industry a remarkable sway over most aspects of public expenditure. It is consulted as the leading stakeholder on questions of which subsidies are awarded; is encouraged to co-fund and shape academic research agendas; it is awarded public money for research in private labs or field tests; and it has a key stake in setting regulations – a process that is bolstered by major political lobbying at the EU level. In the UK, meanwhile, Lord Mandelson recently set up a new government ‘climate change and energy’ unit, whose remit involves ‘minimising competitiveness impacts’ of climate and energy policies. Short of tackling these structures head on, it remains difficult to see how even a green new deal, however worthy the intention, will not end up throwing good money after bad.